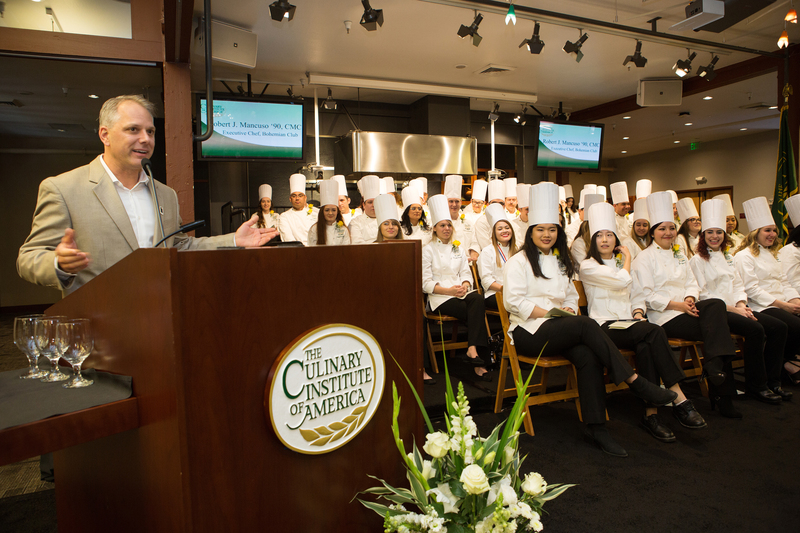 St. Helena, CA – Certified Master Chef Robert Mancuso delivered the keynote address during commencement at The Culinary Institute of America at Greystone in St. Helena, CA on April 13. Mancuso, a 1990 graduate of the college’s New York campus, is executive chef of the Bohemian Club in San Francisco. He told his newest group of fellow alumni that their graduation is just the beginning of their learning. Twenty years after earning his CIA degree, Chef Mancuso successfully completed the rigorous eight-day Certified Master Chef exam, becoming one of only 65 chefs to hold the highest certification bestowed by the American Culinary Federation (ACF). He has earned 13 gold medals in national and international cooking competitions, and in 2005 Mancuso was named Chef of the Year by the ACF’s Monterey Bay Chapter.